The city has identified two intersecting streets, totaling about two miles, to start out with. Details are still in development, but typically, bike boulevards involve diverting motor vehicle through traffic away from streets and implementing measures to further slow down cars and make cycling more convenient and safe. When it comes to managing speed on a bike boulevard, anything from simple speed limit reductions to speed humps and curb build outs can be employed. 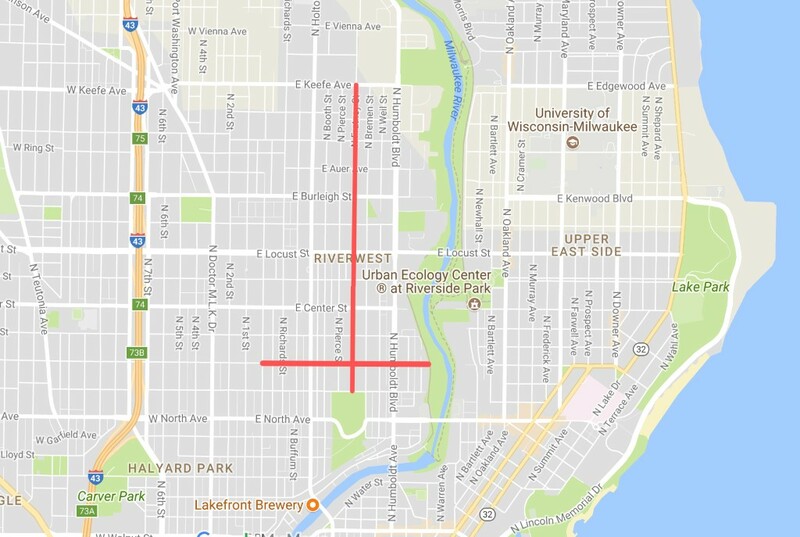 Bike boulevards are another citywide infrastructure investment called for in the 2010 planning document, Milwaukee by Bike, which calls for the creation of 54 miles of bike boulevards. More recommended reading today: Wash Cycle reports that D.C.’s Department of Transportation is hosting trainings for construction managers about how to manage bike facilities in work zones. And modacity gives an overview of the case against bike licensing. This is a great step forward for city mobility. I love this idea but would like to know if it’s going to impact the ability to park on Fratney Street.